I’ve posted interviews with most of the authors and poets who will be taking part in our Book Fair: http://www.narberthbookfair.co.uk/. And, as usual, there will also be the writing competition: this year was a poetry competition (now closed) which is being judged at the moment. Our latecomer to the interviews is a favourite at our book fairs, the prolific author, Sarah Jane Butfield. It’s a short but sweet interview. To find out more about Sarah Jane do please drop in to the book fair… and question her thoroughly!! Author Sarah Jane Butfield was born in Ipswich and raised in rural Suffolk. Sarah Jane is a wife, mother, ex-qualified nurse and now an international best-selling author. Married three times with four children, three stepchildren and two playful Australian Cattle dogs she an experienced modern day mum to her ‘Brady bunch’, but she loves every minute of their convoluted lives. The roving Florence Nightingale, has had a successful career as a nurse and used her nursing and later teaching qualifications to take her around the world. Welcome, Sarah Jane, could we start by you telling us what you were like at school and were you good at English? I enjoyed English at school but became better and more proficient in college. I became an author accidentally, hence my nickname the Accidental Author, however I aspire to continue to share my personal experiences of parenting, family life, travel and nursing anecdotes to inspire readers to follow their dreams. I find Lisa Genova books not only inspirational, but very moving. So, what have you written? Where can we buy or see them? And that’s all she tells me today, folks, but as I say, do come along and chat to Sarah Jane about all her adventures. She may say she became an author accidentally – but her books are great reads. Our latecomer to the interviews is an author whose book I’ve read and thoroughly enjoyed; Helen Lewis. Welcome, Helen, could we start by you telling us who is your favourite author? So what do you think makes a good story? Surely it has to be the bible, forget religion (if you want to), that book is packed with intrigue, murder, fantasy, jeopardy, shall I go on? I think the route of all stories ever told or to be told are planted within those covers. Just the one so far, The House With Old Furniture. It is, by far my favourite! 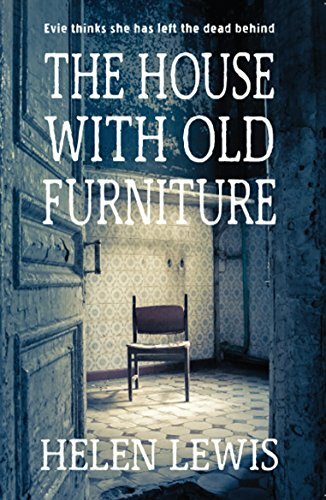 The House With Old Furniture is a story of love, loss and betrayal – where no-one can be trusted to tell the full story, and nothing is as it seems. One son dead and the other grieving, Evie is banished to Wales, her world falling apart. She survives in part due to the presence of the mysterious Alys and her son Nye, who reminds Evie of her own lost boy. OK so I copied the blurb, but the hardest thing, I have found about this writing malarkey, is having to define and summarise the tens of thousands of words you have just spent years scribbling. 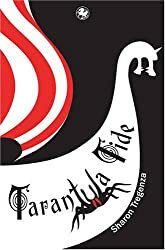 I think it’s a must read, because even though I have read it now about seven times, at least, maybe eight or nine, I still get lost in the tale, it still grips me even though I know the ending! I literally stumbled upon the inspiration for this story shortly after my family moved to Pembrokeshire twelve years ago. Whilst on a walk with our two boys in the woods that surround our home, we discovered the remains of a cottage. If we’d been in a hurry, and I hadn’t got my boot stuck in the stream, we would have completely missed it. Only parts of three walls remained, ferns, moss and ivy rendered most of it invisible and at some point a huge tree had fallen straight through the middle of it finishing off most of what was left. It took a bit of imagination to picture a cottage amongst the undergrowth, almost like staring at one of those coloured dot pictures trying to find the hidden image. Whilst the boys waited for me to free my boot, they scrambled over the ruins of the little house unearthing all kinds of everyday treasures: the rusty end of a bedstead, a rotten milk churn, and old bottles to name but a few. You couldn’t help but feel that you were trespassing in someone’s home, although the building was barely recognisable as such the sense of what it must have been like to live there was so strong in my mind. I felt I could hear the last inhabitants crunching through the dead leaves towards us. It was as if some fragment of their being had evaporated into the air around us and become a part of the place, ingrained, like the scent of wild garlic, in the very trees around us. As we all walked back home through the woods I knew there was a story to be told about that little cottage. So in some down time – broadband down time – telephone wire down time, you know what it can be like living in rural Welsh Wales! I began stitching together this tale, creating the characters that live in it, Jesse, Finn, Andrew and Evie. I wanted my characters to unpick the mystery within The House With Old Furniture for the reader, and decided to introduce an old journal that would slowly unlock the secrets. Bizarrely the idea for the journal came from a very old and decrepit cookery book that once belonged to my Nan – ‘The Diary Book of Home Cookery’. When Nan died, Grandpa, determined to remain independent and ‘carry on’, treated it a bit like a bible. And somehow I have now inherited it. It’s full of his notes, scribbled all over the printed recipes, on how things should really be cooked and it’s packed with his own concoctions jotted down on the backs of old yellowing receipts and envelopes. I love it. It’s a real treasure of mine even though the spine has fallen and most of the photos have turned blue and green. And I’m thrilled that some of Grandpa has made it into the novel, I used his actual hand-written recipes for bread and dumplings as backgrounds on the chapter divider pages. I can hear him chuckling about that! Forever! Five, very long years. I have heard from some of them, and it’s been lovely. I love the questions I’ve been asked, it’s made me look at the book in different ways. I still find it surprising that people are actually reading something that I have written. Absolutely none. Sorry. I fully intended to be a ballerina until the age of 16, I had about six lessons a week and taught as well, unfortunately it wasn’t to be. But that is hardly an uncommon talent. I couldn’t come up with an answer to this question so I (stupidly) asked my husband and teenage sons who just happened to be sat around the kitchen table where I am doing this. So unhelpfully they came up with “You can’t spell.” Thank you husband. “You’re not very good, ha ha.” Thank you teenager two. And “I don’t know what a quirk is.” Brilliant teenager one (who’s not actually a teenager now, but still behaves like one). I haven’t really answered that have I? Run, as far and as much as I can, I’m addicted. Also started open water swimming which is the most awesome, relaxing, stress busting thing invented for humans to do. Note to self: never ask your family about the most amusing thing that’s happened to you…it’ll normally the most amusing thing they think happened to you! I am utterly, totally, completely terrified of heights. 3m off the ground and I’m jelly on the floor. Today I’m hosting my very first guest – the wonderful saga writer, Judith Barrow. Her latest book is just out – A Hundred Tiny Threads. So come and meet the Howarth family! Families fascinate me. We live in such diverse situations and, a lot of the time, tend to take it all for granted. Being a family member can bring the best and the worst out in all of us, I think. So a wealth of human emotions to work with. What other authors of your genre are you connected/friends with, and do they help you become a better writer in any way? I recently held a series of interviews with other family saga authors. Through those posts it was lovely getting to know them and the way they work. With some I’d already read their books, others, it was brilliant to discover their novels. I also have met writers, both Indie and traditionally published, through social media over the years and feel I know some of them quite well. My greatest support has come from the group of authors published by Honno. We have a Facebook group where we can chat and ask for help/ information and generally boost moral when it’s needed. And we’ve met up in real life on many occasions. My dearest Honno friend is Thorne Moore who is an invaluable help with the book fair we organise annually; I’d go so far to say it wouldn’t be half the success it is without her. No, I really don’t. It’s one of the things I stress to my adult creative writing classes; they have to feel what they write. If they don’t how can they expect the reader to empathise with their characters? I have laughed out loud with my characters, cried through some of the situations they’ve found themselves in, felt admiration and even envy for the strengths they have dealt with the hard times. And been completely exasperated and cross with some of them. It’s funny you ask that. Not long ago I was told by another author that all my books were ’Samey’. I was quite incensed for a few moments until it was explained to me that she meant of the same genre. But even if they are all family sagas I still think that, like life in different families, each story needs to be original; both for my own satisfaction and for my readers. And writing style comes into that as well. Just lately I read a book by an author whose past books I’ve devoured. Her latest is written in such a different style I could have sworn it was by a different author. It wasn’t, of course but I wondered how she managed to write in such a diverse way. I’m not sure I could change my voice so drastically. Ah, this is our great friend ‘foreshadowing’; I like to drop subtle hints of things to come into the main body of the story. I drive my husband mad by saying who’s done what/ what’s going to happen/ how something will turn out in television dramas. I do try to keep quiet but even then I say triumphantly, “Knew it!” afterwards. There’s satisfaction in being a reader and guessing the action to come. Then again, there’s great satisfaction as an author in leading the reader down the wrong track as well. Do you want each book to stand-alone or are you trying to build a body of work with connections between each book? I set off to write Pattern of Shadows as a stand-alone but I knew here was another story about the Howarth family waiting in the wings. And that happened again after Changing Patterns, so Living in the Shadowsemerged. I breathed a sigh of relief when that last book of the trilogy was finished but after a week the two main characters of A Hundred Tiny Threads, the parents of Mary Howarth, the protagonist in the trilogy, stared clamouring. So their story had to be written. I actually thought I’d finished with them all then. But up popped eight minor characters from the three books mithering and pecking at my head. So I wrote a set of short stories for them in my anthology, Secrets.A couple of them are still buzzing around… hmm! Would you like to talk about your latest book here? Thank you. A Hundred Tiny Threads is the prequel to my trilogy. It’s a family saga set between 1911 and 1922 in Lancashire and Ireland during a time of social and political upheaval. So it covers the years of the Suffragettes, the First World War and the Uprising in Ireland with the Black and Tans. The two main characters are Winifred Duffy and Bill Howarth, the people who become the parents of Mary Howarth, the protagonist in the trilogy. As with the trilogy, it’s published by Honno (http://www.honno.co.uk) and has been described as an engaging, emotive novel. And finally where can readers find you? 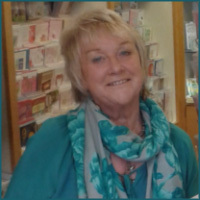 Judith Barrow, originally from Saddleworth, Yorkshire, has lived in Pembrokeshire, Wales, for almost forty years. She has an MA in Creative Writing with the University of Wales Trinity St David’s College, Carmarthen, a BA (Hons) in Literature with the Open University and a Diploma in Drama from Swansea University. She has had short stories, plays, reviews and articles, published throughout the British Isles and has won several poetry competitions. She has completed three children’s books. Evie has lost her eldest son, Jesse, to gang violence. Leaving the house he grew up in is pulling apart the few strings left holding her heart together. 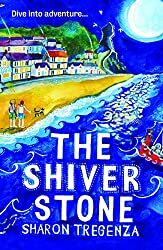 Only the desire to be there for her younger boy, Finn, impels Evie to West Wales and the ancient house her husband is sure will heal their wounds. Days later, Andrew is gone – rushing back to his ‘important’ job in government, abandoning his grieving wife and son. Finn finds solace in the horse his father buys by way of apology. As does his evasive and fearful new friend, Nye, the one who reminds him and Evie of Jesse… Evie loses herself in a dusty 19th century journal and glasses of home-made wine left by the mysterious housekeeper. As Evie’s grasp on reality slides, Andrew’s parents ride to the rescue. It is clear that this is a house they know. They seem to think they own it, and begin making changes nobody wants, least of all Alys and her son, Nye, the terrified youth who looks so like Jesse. This book hooked me from the start: ” I don’t want to leave. I’m being ripped from the rock I cling to…” Right away i was in the protagonist’s heart and mind. The story of Evie Wolfe, her grief, her bewilderment, her sense of loss is threaded through the whole of The House With Old Furniture. Helen Lewis has a talent for writing phrases that evoke instant images, moods and sensations.This is rich,flowing prose. Told alternately from the points of view of Evie and her young son, Finn, the contrast in tone is stark, yet the empathy, between the two is palpable. 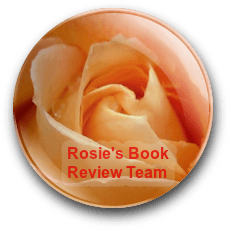 The author relates many of the same scenes throughout the novel from their different perspectives, with their different voices, allowing each scene to come alive and enabling the reader to ‘see’ the confusion in each character’s mind. Yet also to begin to see the machinations of the other characters surrounding them. All the characters are multi-layered and convincing in the roles they play, whether they live in the ‘real’ world or are more ephemeral. As a reader I found myself alternately empathetic, saddened, perturbed, intrigued, angry. The House With Old Furniture is not a book that lets the reader go so easily; I discovered it is quite easy to dust, to make a meal one -handed, to iron, with only occasional glances to see what I was doing. And to read. The spoken dialogue defines each character to their part in the plot, yet it is so subtly written that it is easy, initially, to miss the manipulations that are woven throughout. Only through the internal dialogue of Finn and the gradual slipping of reality with Evie did the unease grow in me. My review wouldn’t be complete without a word or two about the setting of the novel. The descriptive narrative brings alive the surrounding countryside of Wales; the isolation, the beauty, sometimes the danger, to give a great sense of place. I also love the title; The House With Old Furniture encompasses the descriptions of both Pengarrow and the cottage where Evie finds Nye and Alys. Ah, Alys, an elusive character that I will leave other readers to discover for themselves, just as Evie ‘discovers’ her. This is a story where a sense of disbelief has to be, and is, easily suspended. And it’s expertly brought about by Helen Lewis’ writing. Love the cover by the way…and the wonderful inscriptions and patterns on the pages that divide the chapters. As you can probably guess,I wholeheartedly recommend.The House With Old Furniture. Tell us, Sharon, why do you write? I don’t know what I’d do with myself if I didn’t write, I’ve been doing it for so long now. I can’t honestly say there’s been a book that has influenced my life – that sounds a bit grand. There have been a few books that may have influenced my writing. ‘Holes’ by Louis Sacher. It’s a master class in layering and stitching together bits of myth and magic to create a fascinating whole. I get something to physically embody the story. For instance, I’m writing another children’s mystery – this time about the trapping of songbirds so I bought myself a pretty glass greenfinch to hang in my study. Work schedule? Ha. Haha. Hahaha. Stop laughing, Hahahaha… I’m only asking the questions!! I’ve written five. Three are published one seems to be going by the wayside and the fifth I’m tweaking now. My favourite? Probably ‘The Jewelled Jaguar’ as it’s the most recently published. My books are for Middle Grade (8-12). I’m working on a couple of picture books though and if I chose another genre it would be cosy murders – you know, Miss Marple kind of thing. They seem like they’d be fun to write. Children’s – adventure – mystery. The ending. I’ve must have read and rewritten it umpteen times but it still makes me well up. How sad is that. Haha. I’d spend time with Rhodri Tudor because he’s a dude. He’s smart and kind and funny and plays folk guitar. I do. Because they’re kids they say the sweetest things and it always lifts my heart. They’re the harshest critics too mind. You don’t want to short change them, trust me. Socialise (preferably with wine) read and listen to stories, exercise. What is the most amusing thing that has ever happened to you? Not particularly to do with your writing? Oh, good grief. How long have you got? If I had to pick one quickly it might be when I visited Egyptian friends in Cairo and was given a bowl of melted ice cream as the Muezzin called the faithful to prayer from the Minaret outside and Benny Hill blasted out of their TV set. I LOVE quirky properties. I’ve lived in part of a church, an old Mill House and am now in a converted chapel. I’m about to downsize so who knows what’s next? Windmill? Gathering even more of us all together this week to show what a treat is in store at our book fair. Do please drop in to our website: Narberth Book Fair, cleverly put together by the brilliant Thorne Moore.